The Appalachian Mountain Photography Competition Opening Reception takes place this Friday, February 3rd, along with the start of voting for the AMPC People's Choice Award. 49 finalist images will be on display from February 3 through June 2 at the Turchin Center for the Visual arts on the Campus of Appalachian State University in Boone, North Carolina. A panel of jurors selected the images for exhibition from 1,156 images – the largest number of submissions ever received. The jurors will soon return for the final round of judging to select category winners, award special mention honors, and select one image as Best In Show. You can cast your vote for the coveted People's Choice Award via a kiosk at the exhibition or online. Voting officially begins with the public reception opening at 7:00 pm, Friday, February 3 and voting will close at 5:00 pm on Friday, March 30, 2012. The winner of the People's Choice award receives a $350 cash award furnished by Footsloggers Outdoor and Travel Outfitter in Boone and Blowing Rock. The 9th Annual AMPC is sponsored by VirtualBlueRidge.com, the premier Blue Ridge Parkway online resource, who provided the entire online presence for the competition; and The Mast General Store, who is providing prize packages in 5 different categories. The AMPC is supported by Peabody's Beer and Wine Merchants; Bistro Roca Casual Fine Dining; Footsloggers Outdoor and Travel Outfitters; Appalachian Voices; and Stick Boy Bread Company. Proceeds from the Annual Appalachian Mountain Photography Competition are used to support students who wish to experience Student Outdoor Learning Expeditions (SOLE) at Appalachian State University. SOLE trips are 21-55 day active educational adventures of discovery. Students spend extended time exploring rugged and remote wilderness and become immersed in new and exciting cultures all while gaining academic credit. To learn more about the Appalachian Mountain Photography Competition, its organizers and sponsors visit the Turchin Center or go online at www.appmtnphotocomp.org. The Appalachian Trail Conservancy (ATC) recently announced a new program that offers travelers the opportunity to help support the Appalachian Trail by staying at select lodges. The program, called “Lodging Give Back”, was announced on January 20th at the Bavarian Inn and Restaurant in Shepherdstown, WV, during the retirement celebration of David Startzell, ATC’s Executive Director. The Bavarian Inn will serve as the first establishment to offer this “giving back” program to its patrons. “The Appalachian Trail Conservancy is thrilled to have the opportunity to partner with businesses like the Bavarian Inn to help spread awareness and raise support for the Appalachian Trail”, said Amy McCormick, Corporate and Foundation Manager of the ATC. The program offers the opportunity for hotels, inns, and bed & breakfasts along the A.T. to donate a portion of their sales to support ATC’s mission. Patrons will have the option to donate a part of their stay to help support the ATC and maintainer club efforts in order to conserve the footpath, viewsheds, and environmental & cultural resources along the A.T.
For more information about the “Lodging Give Back” program, please contact Amy McCormick at 304-535-6331 x123 or at amccormick@appalachiantrail.org. Earlier in the week the USDA Forest Service announced that it will conduct a 1,200-acre prescribed burn in the Bearpen Mountain area of the Pisgah Ranger District in February or March 2012. The Forest Service will implement the prescribed burn to reduce woody debris in the forest, which will help prevent catastrophic wildfires. The prescribed burn will also improve wildlife habitat. The safety of the public and firefighters is the number one priority. The Forest Service will notify the public when the decision is made to conduct the burn. The agency will close area trails and roads the day before the prescribed burn. The public is asked to heed signs posted at trailheads and roads and to stay away from burn sites and closed roads and trails. For further information, contact the Pisgah Ranger District at 828-877-3265. Over the course of the next several months, the Appalachian Trail Conservancy’s (ATC) Visitor Center will host a variety of events to raise awareness about the Appalachian Trail (A.T.) as well as the ATC. All events are open to the public, free of charge, and will be held at the ATC’s Visitor Center, located at 799 Washington St., Harpers Ferry, WV. The first event of the new year will be the A.T. Short Film Festival. Scheduled for February 11th, the festival is a compilation of short films taken on or about the A.T. If you have a video, or know of a video that you think should be included, you can email a link to: info@appalachiantrail.org by February 1st. To see the ATC's entire list of events, please click here. One other AT event of note, but not taking place in Harpers Ferry, is the 2012 Dahlonega Trail Fest in Dahlonega, GA. The event, which celebrates spring on Springer Mountain and the height of the thru hiker NOBO season, takes places from March 16-18. The Fest will include workshops for long distance hikers/thru hikers, day hikers, outdoor enthusiasts, informational workshops and booths by government and outdoor user groups, films, music, vendors, and guided trips to area trails and outdoor venues. Camping will be available as well as AT shuttles. You can check out the website for information on the 2011 Festival and news of the 2012 event. Officials at Great Smoky Mountains National Park in conjunction with the Friends of the Smokies and the Great Smoky Mountain Association are announcing a new opportunity to experience the Smokies. The new program, Experience Your Smokies, is a unique opportunity to get to know the park and its employees in a whole new way. "If you have ever wanted to be a park ranger or get a behind the scenes look at what goes on in Great Smoky Mountains National Park, this is your opportunity," said park Superintendent Dale Ditmanson of the new program. Experience Your Smokies is a program designed for local business, civic and educational leaders to get a behind the scenes look into the national park, while networking with others from western North Carolina. "Our surrounding communities and their leaders are very important to us, and this program gives us a chance to make more meaningful connections with our neighbors and for them to do the same with us." Participants will attend two half day and three full day sessions at a variety of locations in Great Smoky Mountains National Park, accompanying park employees in activities that may include radio-tracking elk, excavating archeological sites, and monitoring salamander populations. This is a perfect way to get an insider's look at park operations as we explore areas like Cataloochee Valley, Deep Creek, Oconaluftee, Clingmans Dome, and Purchase Knob. Assisting in planning for the program are representatives of Smoky Mountain Hosts, the Eastern Band of the Cherokee Indians, the Swain County Chamber of Commerce, the Town of Waynesville and others. "Western North Carolina and the people of this region have such a deep and long connection with the Great Smoky Mountains National Park," said Waynesville Town Manager Lee Galloway, "This program is intended to give participants an inside look at the day to day operation of the Park and a better understanding of this wonderful asset we have in our region." Experience Your Smokies is seeking diverse applicants from the surrounding communities for a program this spring. Program dates are as follows: Tuesday March 13th and 27th, April 17th, May 1st and Saturday May 19th. Class size is limited to 25 participants. Those attending will be asked to commit to attending all class days. Applications will be accepted between now and February 15. 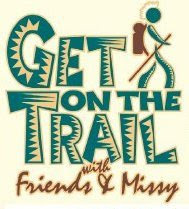 Please visit www.friendsofthesmokies.org/events.html or call 929-452-0720 for an application. Yesterday Agriculture Secretary Tom Vilsack signaled the U.S. Department of Agriculture’s intent to issue a new planning rule for America’s 193-million acre National Forest System that seeks to deliver stronger protections for forests, water, and wildlife while supporting the economic vitality of our rural communities, by releasing online a Final Programmatic Environmental Impact Statement (PEIS) for the National Forest System Land Management Planning Rule. USDA and the Forest Service carefully considered nearly 300,000 comments received on the proposed rule and draft environmental impact statement issued last February, to develop the agency’s preferred course of action for finalizing the planning rule. This is included in the PEIS released today as USDA’s preferred alternative. A notice of availability for the PEIS will be published in the Federal Register on February 3, 2012, and the Secretary will issue a record of decision selecting a final planning rule no less than 30 days afterwards. • Plans must include components that seek to restore and maintain forests and grasslands. • Plans would include requirements to maintain or restore watersheds, water resources, water quality including clean drinking water, and the ecological integrity of riparian areas. • Plans would be required to provide habitat for plant and animal diversity and species conservation. These requirements are intended to keep common native species common, contribute to the recovery of threatened and endangered species, conserve proposed and candidate species, and protect species of conservation concern. • Plans would provide for multiple uses, including outdoor recreation, range, timber, watershed, wildlife and fish. • Plans would be required to provide opportunities for sustainable recreation, and to take into account opportunities to connect people with nature. • Opportunities for public involvement and collaboration would be required throughout all stages of the planning process. The preferred alternative would provide opportunities for Tribal consultation and coordination with state and local governments and other federal agencies, and includes requirements for outreach to traditionally underrepresented communities. • Plans require the use of the best available scientific information to inform the planning process and documentation of how science was used in the plan. • The planning framework provides a more efficient and adaptive process for land management planning, allowing the Forest Service to respond to changing conditions. For some answers to FAQs on the Proposed Rule, you can click here. I found this document to be the most helpful.....it had the least amount of "government speak". The National Park Service announced today that nearly one million dollars in trail grants will be awarded to 14 trails in 22 states and Washington DC. The 2012 Connect Trails to Parks Awards will provide a total of $934,000 to 14 projects where national historic and scenic trails intersect with national parks and other federal facilities. The projects will restore or improve existing trails and trailhead connections, provide better wayside and interpretive services, encourage innovative educational services, support bridge and trailhead designs, and provide planning services for important trail gateways. Many of the projects reflect National Park Service priorities such as expanding outreach, connecting to youth, enhancing urban recreation, promoting healthy lifestyles, and upgrading interpretive materials as outlined in the agency’s A Call to Action: Preparing for a Second Century of Stewardship and Engagement. In addition to operating 397 parks across the United States and its territories, the National Park Service plays a vital role in overseeing the 52,000-mile National Trails System. The Connect Trails to Parks program is designed to increase awareness, appreciation, and use of the nation’s federally-designated system of trails. The years from 2008 to 2018 have been declared "A Decade for the National Trails" ramping up to the trails system's 50th anniversary in 2018. Many of these projects will help specific trails and their related federal facilities to achieve goals associated with this commemorative decade. One award of note for the Smoky Mountains region is the $64,200 grant for the "Implement Appalachian Trail Leave No Trace Initiative". You can view all of the trail grants by clicking here. I'll be honest, as I looked over some of these projects I couldn't help but think that this money could've been spent more wisely. $57,200 for a "Children’s TV Program About the Ice Age Trail". Are you serious? This is how we're spending our tax dollars? I don't know, what do you think? Get a great start on 2012 by joining the Cataloochee Ranch and the Southern Appalachian Highlands Conservancy for hike near the Cataloochee Ranch. The historic ranch is located on the edge of the Great Smoky Mountains National Park in Maggie Valley where SAHC holds over 300 acres in a conservation easement. Participants will be hiking the Wallhalla Trail, a 4-mile trail that features great views of the Balsam Range and the Campbell Creek basin, rhododendron tunnels, and cove hardwood forests. You'll also get to see the “Sliding Rock,” and towards the end of the hike, will be rewarded with vistas of Maggie Valley and the mountains beyond. The hike is scheduled for Saturday, February 4th, at 10:30 a.m. The trail is rated as a moderate hike. You'll need to bring water, comfortable shoes, warm clothes and a camera. The hike is free for members and $10 for non-members. Well behaved dogs are welcome. You can direct any questions to Rich Preyer, rich@appalachian.org or 828-253-0095 ex. 205. Here's pretty cool way to become a human guinea pig, while at the same time helping mountaineers, climbers and the advancement of science. As most adventurers are already aware, traveling to high altitude can result in a variety of symptoms, collectively called acute mountain sickness. The Neural Systems Group at the Massachusetts General Hospital (MGH) is currently seeking volunteers for a brain imaging research study to help learn why this occurs. The study will involve 5 visits, spread over approximately 4-7 weeks, at both MGH in Charlestown, MA and the testing chambers at the U.S. Army Research Institute of Environmental Medicine in Natick, MA. To be eligible, volunteers must be in good general health and currently exercising for at least 20 minutes, 3 times/week. They must be between the ages of 18 and 50 years. Must be willing to have 5 modest blood draws over the course of the study, and must be able to have an MRI. The total time commitment will be up to about 35 hours. Volunteers will be compensated for your participation. More than likely you'll never get a chance to climb Everest or K2, but you might be able to help others attain lofty goals some day down the road by participating in this research. For more information on the trials, please click here. What kind of owl is that? A common question for many people when they see one in the woods, or hear one hooting off in the distance. Now's your chance to learn about owls, and how to identify some of the more common species, on the next GSMA Owl Prowl. 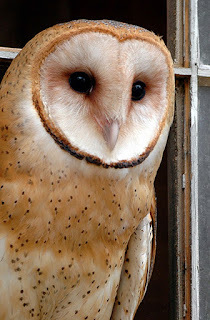 On Saturday, February 11th, join Butch McDade and the Great Smoky Mountains Association for a nighttime adventure into the elusive world of these amazing birds. Participants should meet at the Sugarlands Visitor Center at 7 pm, dress appropriately in winter clothing, hiking boots (or athletic shoes with tread), bring flashlights or headlights, and maybe even a rain parka, if need be. The GSMA requires that you register in advance by calling 865-436-7318, Ext. 222 or 254. The program is open to adults and children 12 and older, and there is a $10 charge for adults and $5 for children 12-16 to cover the presenter's fee. You can read additional news from the GSMA in the latest Cub Report. Got the winter blues? Embrace the season by taking part in one of the many wildlife-viewing van tours offered at Land Between The Lakes (LBL) National Recreation Area. Over the next several weeks there will be multiple guided tours offering outdoor enthusiasts a chance to witness some of nature’s greatest moments. Registration is required for all tours, and space is limited. The Land Between The Lakes ongoing Nature Watch tour series highlights many birds that call the area in western Tennessee and Kentucky home during the winter. During these tours, you may see everything from pelicans to pintails! 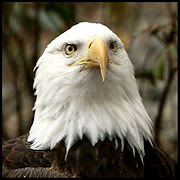 * LBL is offering Eagle Viewing Van Tours from 1-4:30pm on Sundays, Jan. 22, 29, and February 5th. Winter is the peak season for seeing bald eagles in LBL; both resident eagles and visiting "snowbirds" are out looking for fish around the lakes. You'll visit the best spots in LBL for spotting these magnificent creatures. Cost is $7/adult and $5/child. * On February 11th, the LBL is offering a special Nature Watch tour that brings you to Cross Creeks National Wildlife Refuge, just south of LBL. They will explore this bottomland habitat in search of harriers, sandhill cranes, and thousands of migrant ducks. The cost is $10/adult and $7/child and runs from 9am-12pm. * The month of March offers a chance to see hundreds of pelicans as they migrate through the area, as well as our resident eagles on their giant nests, incubating eggs or sheltering their chicks. Join the LBL on either March 18 or 24, for a Nature Watch tour that highlights these two amazing species. This two-hour tour costs $7/adult and $5/child. Please call 270-924-2020, weekdays from 8am-4:30pm, to learn more about each tour and make your reservation. You can also click here for more information about the Land Between The Lakes National Recreation Area. Park officials for the Great Smoky Mountains have issued a caution for the Caldwell Fork Trail in the Cataloochee area. The Park's website states that "several footbridges along the trail are damaged. Hikers wishing to use the trail will need to ford the creek." The Caldwell Fork Trail is used by many people in combination with the Boogerman Trail to create a 7.4-mile loop hike. Our friends over at MyLifeOutdoors are giving away a brand new Gregory Z45 BackPack, via LeftLane Sports. The pack is valued at $180. And, if you're a brand new member at LeftLane Sports, you'll receive a $10 in-store credit just for signing up. The Gregory Z45 features "the LTS Jetstream Load Transfer Suspension which provides true ventilation with no unnecessary points of contact on your body. Adjustable waistbelt and harness with perforated foam and mesh increase comfort and increase air flow, and a dual density foam lumbar pad to correctly transfer weight of the pack to your hips." To check out a review of LeftLane Sports, and to learn how to enter the contest, please click here. The contest ends at Midnight EST on Sunday 1/29/2012. The Appalachian Trail Conservancy is accepting applications for their Wilderness First Aid Course at the Twin Creeks Science and Education Center in the Great Smoky Mountains National Park near Gatlinburg. The public is welcome to take this training opportunity alongside Appalachian Trail Ridgerunners. This two-day course will be held over February 27th and 28th, and is open to the public at a cost of $150 per person. Overnight accommodations are available at no charge. If you are a day-hiker, backpacker or outdoorsman, this is a great way to be prepared and stay safe. Fast paced and hands-on, the agenda covers a wide range of wilderness medicine topics for people who travel and work in the outdoors. 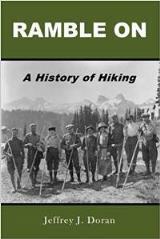 Recommended for: avid hikers, teachers leading school trips, backcountry guides, canoe trip leaders, private expedition groups, college/university outdoor education programs, hiking club trip leaders, wilderness therapeutic programs, and adventure race safety personnel. To enroll or for more information, please contact Andrew Downs with the ATC at 828.254.3708 or adowns@appalachiantrail.org. The USDA Forest Service will briefly close small parts of Estatoe Trail, Avery Creek Road and Buckhorn Gap Trail in the Pisgah Ranger District for about a week in early February as the result of utility maintenance. Exact dates have yet to be determined. Activities affecting roads and trails will take place Monday thru Friday; no felling of trees will occur on Saturdays or Sundays. Earlier in the week the U.S. Forest Service announced that it is granting $52.2 million for 17 conservation and working lands projects across the U.S. in 2012. The Fiery Gizzard project ($500,000) will protect more than 3,200 acres within the South Cumberland region of Tennessee. The conservation easement will ensure that the extensive tablelands on the property are protected from development, sustainable forest management continues, hunting activities are maintained and important wildlife habitat is conserved. To view information on the other projects receiving grants, please click here. Last week UNC Libraries announced the launch of a new website as part of the Documenting the American South project, which makes historical content digital and interactive. "Driving Through Time" features roughly 2700 photographs and 76 interactive maps of the Blue Ridge Parkway. The website allows students, researchers, and digital tourists to uncover hidden stories, hear forgotten voices, and understand the often wrenching choices that the construction and preservation of a scenic parkway in a populated region have necessarily entailed. In addition to the photographs and maps, you can also find letters, essays, postcards, documents and other materials about the Parkway from the University of North Carolina Library’s North Carolina Collection. To the extent possible, each item in the collection has been assigned a geographic coordinate, linking the historical document to the Parkway location to which it pertains. This allows many of the collection’s items to be found via the geo-browse function that identifies clusters of items relating to specific locations. You can view the collection by clicking here. Rock Creek Recreation Area in the Cherokee National Forest is closed to all recreation activities. Trees killed by the Hemlock Wooly Adelgid have created a safety hazard. These trees along with other dead and damaged trees are being removed. The recreation area near Erwin, TN will reopen in the spring. The closing includes the campground and the Rock Creek Falls Trail. The outcome of a groundbreaking effort by the Chattahoochee-Oconee National Forests to work with trail users to identify and maintain a diverse, quality trail system on the Forests will be unveiled during a weekend of public workshops and meetings beginning January 20th at Unicoi State Park near Helen, Ga. Last year the Forest Service began the Collaborative Trails Initiative, or “CoTrails,” by bringing together trail users to address shared concerns. The result is a five part strategic plan that the Forest Service and CoTrails volunteers are now ready to start implementing. The Chattahoochee-Oconee National Forests receive 2.2 million visitors each year, and the primary activity is use of the national forests’ 850 miles of designated system trails. Hikers are not the only ones who take advantage of the recreation opportunities that the trails provide. Cyclists, hunters, anglers, off-highway vehicle enthusiasts and horseback riders all recreate on national forest trails. Collaboration with all trail users offers the opportunity to address management challenges of increasing public demand and use, limited agency resources for maintenance, and potential competition between recreation users. Beginning in 2011 the Forest Service hosted a series of meetings in communities surrounding the national forests to find out how all trail users could work together and with the Forest Service to help create a diverse, quality trail system that is maintainable and minimizes environmental impacts. More than 350 people attended those meetings, and a core group of forty plus volunteers coalesced to see the effort through the planning stage. The CoTrails Strategic Plan outlines five objectives that include engaging volunteers, inventorying and assessing existing trails, creating a forest-wide interactive online map of the trail system, and identifying unauthorized trails and opportunities to incorporate new system trails on the national forests. The weekend of CoTrails activities begins on Friday, January 20th at 6 p.m. with the CoTrails Strategic Plan launch and general meeting followed by a social hour. This meeting is open to anyone interested in supporting and becoming active in the implementation of the CoTrails Strategic Plan. Volunteer project teams will be formed to work on specific plan objectives. A Saturday morning kick-off begins at 9 a.m. and will include presentations from the Chattahoochee-Oconee National Forests, CoTrails volunteers, and Applied Trails Research, with the goal of providing an introduction to a trails assessment process that will be occurring on the national forests. Following the kick-off, one of the most popular and sought after trails training opportunities, “The Art and Science of Trails,” will be offered free to anyone interested in gaining a deeper understanding of the science behind creating successful trails. This two day training includes a Saturday indoor class and a Sunday field session conducted at nearby trails. Workshop pre-registration is required, and capacity is limited. Anyone interested in participating in these activities should contact John Campbell by email. Read the CoTrails Strategic Plan. You can find more information on the Chattahoochee-Oconee National Forests’ website. The USDA Forest Service National Forests in North Carolina today announced that it will make significant improvements this year to the historic and scenic Dry Falls Trail in the Nantahala National Forest, providing visitors with a safer and more enjoyable forest experience. Construction will begin in early April 2012 and conclude by September 2012. The $466,000 project will stabilize the trail, reconstruct and replace the entire walking path, remove tripping hazards and protect water quality through drainage control measures. The improvements will enhance the visual appeal of the trail and make it easier to maintain. Working with a Forest Service archeologist, engineers designed the reconstruction to preserve the current look and historic feel of the site. The parking lot and Dry Falls Trail will be closed for the duration of the project. Funding for the project comes from a Federal Highways Grant of $208,000 and matching agency funds of $258,000. The Forest Service awarded the project contract to Williams Construction of Robbinsville following a competitive bidding process. Dry Falls is located northwest of the town of Highlands, N.C., off of Hwy 28. The Civilian Conservation Corps constructed the trail in the first half of the 20th Century. 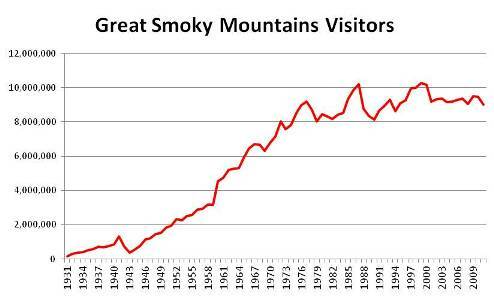 The latest park visitation statistics show that the number of visitors to Great Smoky Mountains National Park jumped 37.7% in December versus the same month in 2010. A total of 471,603 visitors entered the park last month, compared to just 342,512 last December. The Cherokee entrance saw the largest improvement: reporting a whopping increase of 75.1% for the month. Gatlinburg saw a 46.1% increase, while Townsend came in at 24.1% above the prior year. For the year, total overnight stays in the park declined 3.8%. This was the result of a 6.1% decrease in tent campers, and a 15.7% decline in RV campers. Bucking the trend were backcountry campers, which saw an increase of 13.8% in 2011 versus the prior year. Great Smoky Mountains officials announced today on their Temporary Road and Facilities Closures page that Wears Gap Road will be closed this Thursday and Friday (Jan 19-20) for tree and brush removal. The project will improve sight distance around narrow curves and help with visibility of road signs. The secondary entrance connects US 321 in Wears Valley to Little River Road, roughly nine miles west of Gatlinburg. • Old NC-284 between Big Creek and Cataloochee is closed due to ice and snow. • Forge Creek Road in Cades Cove is closed due to mud. The dates for this year's spring series are: April 4, 11, 18 & 25, 2012. Visitation at North Carolina’s state parks and state recreation areas continued at a record level in 2011, with 14.25 million visits, matching the all-time record set in 2009 and posting a slight increase from 14.19 visits in 2010, according to the N.C. Division of Parks and Recreation. 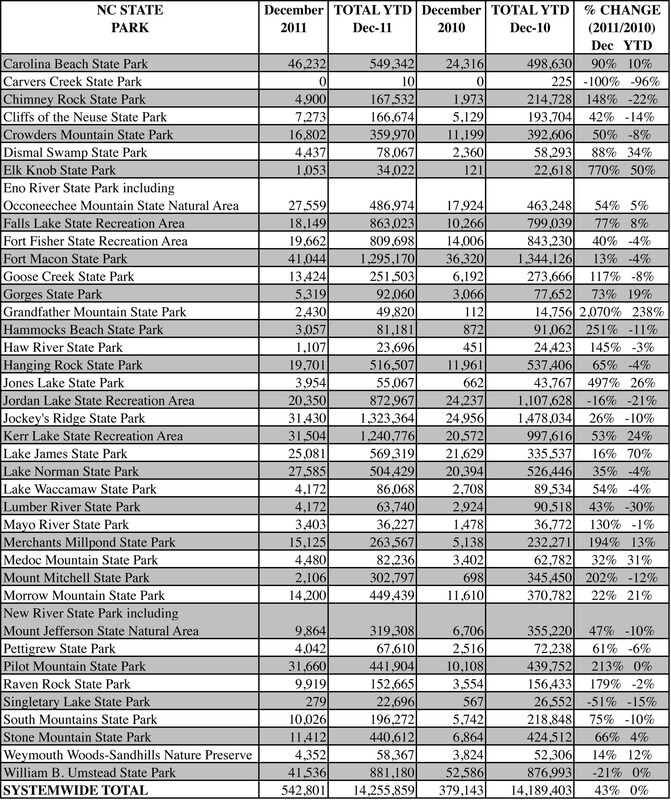 Among 39 state parks and state recreation areas, 15 reported increases in attendance in 2011. Jockey’s Ridge State Park in Dare County reported the highest attendance at 1.32 million visits, down slightly from 1.47 million last year. A 2008 economic study revealed that travelers spend an average of $23.56 a day to enjoy the state parks. The analysis by North Carolina State University’s Department of Parks, Recreation and Tourism Management estimated the state parks system’s total annual economic impact at more than $400 million. The complete study can be found here. During the past 25 years, the state parks system has seen a dramatic 102 percent increase in visitation. In 1986, 7 million people visited state parks and state recreation areas. Several state parks that reported higher attendance in 2011 were able to offer new amenities to visitors. A new 700-foot swim beach and picnic area at Lake James State Park opened for its first full season, and the park experienced a 70 percent jump in visitation. Improvements at other state parks contributed to increased visitation, including a renovated marina at Carolina Beach State Park, a new equestrian trail network at Medoc Mountain State Park and a number of hiking trail projects, including a volunteer-built summit trail at Elk Knob State Park. The state parks system manages more than 215,000 acres within state parks, state recreation areas and a system of state natural areas dedicated to conservation of rare resources. Through its New Parks for a New Century initiative, six new state parks have been added to the system since 2003. Parks with significant increases in visitation include Dismal Swamp State Park in Camden County (34 percent), Elk Knob State Park in Watauga County (50 percent), Jones Lake State Park in Bladen County (26 percent), Kerr Lake State Recreation Area in Vance County (24 percent) and Medoc Mountain State Park in Halifax County (31 percent). State park visitation is often affected by weather events. For instance, Hurricane Irene in August closed Goose Creek State Park for several weeks and other eastern and Piedmont parks briefly. You can view visitation figures for each state park by clicking here. On the afternoon of Monday, January 9th, park officials at White Sands National Monument learned that two visitors who had been hiking within the dunes since noon were lost and unable to find their way out. Russell Vandameer and Karen Renshaw, both of Oklahoma, left to go hiking with their three dogs, Stitch, Suzy, and Griswald. After finding a suitably beautiful spot within the dunes, Vandemeer proposed to Renshaw. The newly engaged couple then attempted to hike back to their car, but were unable to find their way back. Rather than continue to wander and become even more lost, they contacted a cousin via cell phone and requested that help be sent. An interagency effort was begun that involved the NPS, the Alamo West Volunteer Fire and Rescue Department, the U.S. Air Force, and the U.S. Army. While two Army Rescue Blackhawk helicopters were en route from Fort Bliss, approximately an hour away, Holloman Air Force base diverted an F-22 Raptor from a training mission to the search effort. The pilot of the Raptor was able to positively identify the couple with their three dogs. Two Air Force drones were also tasked, which were able to relay specific coordinates and monitor the lost hiker’s location and movement from the air while the Army helicopters were en route. The hikers and their dogs were transported by the Army Blackhawks out of the dunes to the command post, where they were examined by NPS and Alamo West EMS for exposure to the below freezing nighttime temperatures. Renshaw accepted Vandemeer’s marriage proposal. The newly engaged couple invited the Blackhawk crew to the wedding. The search effort was greatly aided by the assistance of the military aircraft, which utilized night vision and infrared equipment to safely locate the hikers after nightfall. Ranger Kelly Roche acted as IC. The U.S. Forest Service announced yesterday eight dates for the new year when national forests nationwide will waive fees that are usually collected to support forest maintenance and amenities. Despite the Forest Service’s fee waivers, the agency does not usually charge for visitors to national forests. In fact, the Forest Service does not charge for access on 98 percent of its land. More than two-thirds of the Forest Service’s approximately 18,000 recreation sites nationwide can be used for free. They include picnic sites, campsites, beach and lake areas, trails, boat launches, and cabins. The REI Store Asheville recently presented a $10,000 grant to Friends of the Smokies to benefit the Trails Forever, a program that supports trail improvement projects in the Great Smoky Mountains National Park. According to a report in the Cherokee One Feather, the grant money was used to purchase a new equipment trailer to help transport tools and supplies, and to help support a seasonal trail crew that oversees the trail work. On the surface this sounds like a great idea. The yet to be formerly launched Hexa Pot is a single-use outdoor cookware pot formed from an ultra-light, 100% biodegradable and eco-friendly paper material to be used for picnics, camping, backpacking, and traveling. The Hexa Pot can be used for boiling water, or for cooking meals such as pasta, soup, chili and ramen noodles. The disposable pots may also come in handy in the event of an emergency situation when sterilizing and disinfecting contaminated water is necessary for making it drinkable. Hexa Pot can be a blessing on your hands due to it being a single use product, no dish washing is required. You can save time, water, electricity, and money spent on dish washing detergent. Ultra-light and convenient when carried around. It helps save space and time when on the go for outdoor activities. Safe alternative cookware when compared to your traditional stainless steel pots and pans that may produce harmful health effects caused from iron, nickel and chromium. The Hexa Pot will biodegrade within 24-36 months, when disposed in the right environment. I take this to mean not in a hole dug next to your campsite, or thrown into a fire. So how many people will actually take it home with them? Right now Energia USA is trying to raise $25,000 by Friday, January 27th, through a Kickstarter Campaign in order to help launch this project. The Los Angeles based company will also unveil its products at the ASD Las Vegas on March 25-28, 2012. Oh, Shenandoah! is a photographic exhibition celebrating Shenandoah National Park that will open this Thursday at The Arts Center In Orange, The exhibit features finalist and winning photographs from contests hosted by communities around the park in honor of Shenandoah’s 75th Anniversary. This Thursday, January 12th, from 5:00 – 7:00 pm, The Arts Center In Orange, in Orange, VA, will host a reception. The dates for the exhibition are: January 5 – February 25, Monday – Saturday, from 10:00 am – 5:00 pm. For more information, please click here. The National Park Service announced yesterday that all 397 national parks across the country will offer free admission from January 14 through 16 to commemorate Dr. Martin Luther King, Jr. Day. Additionally, several parks will be holding special events to honor Dr. King over the three-day weekend. Please click here to read the entire national park press release. Mark your calendars for the annual Winter Roan Mountain Naturalists' Rally on February 11th. Marty Silver, a Warriors’ State Park legend with wildlife and children, will lead an animal tracking hike down near the Doe River. Marty is the expert on the habits and habitats of the Roan’s animals. Jerry Greer, acclaimed Blue Ridge photographer, will lead a photography hike through the beautiful winter woods west of Twin Springs. If you are lucky to have it, see this area on p.92 of his latest book, The Blue Ridge Ancient and Majestic. Bring your Canons and Nikons. Jamey Donaldson, “superb botanist” as mentioned in Jennifer Bauer’s new book, “Roan Mountain: History of an Appalachian Treasure”, will lead a hike to the alder balds on the Roan. Jamey heads up the Roan Mountain Baa-tany Goat Project. It's that time of year again when many of you are starting to think about summer vacations. Maybe you're undecided. Maybe you're looking for a new adventure. 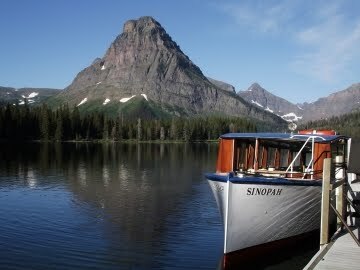 Have you ever considered Glacier National Park in Montana? Even if you've been to the park at some point in the past, did you get a chance to explore the spectacular backcountry? Just like the Smokies, Glacier National Park is a hikers paradise. The park offers more than 740 miles of trails that lead to hundreds of lakes, streams, waterfalls, alpine meadows, mountain passes and glaciers. To help choose which places you wanted to visit and which trails to tackle, I wanted to invite you to check out our brand new sister website for Glacier hiking trails. In addition to covering more than 60 hikes thoughout Glacier Park, our site also provides important travel information to help assist with your planning. Reelfoot Lake State Park is offering daily Eagle Tours again this year. During the winter months Reelfoot Lake, in northwestern Tennessee, is home to approximately 200 American Bald Eagles and spectacular numbers of waterfowl. Buses leave the park's Visitor Center at 10 a.m. CT every day through the end of February. Naturalists join each tour to describe the lake's earth-shaking past and its current status. Tours typically stop at places where eagles are commonly seen, and naturalists set up spotting scopes to allow visitors a closer look. Participants are encouraged to bring their own binoculars as well. Tours cost $5 per person and reservations must be made by calling (731) 253-9652. Now's the time to make plans to join Interpretive Specialists Jerry Hall, David Haggard and the entire Reefoot Lake team for their annual showcase of winter wildlife. The USDA Forest Service plans to implement a prescribed burn near Dobson Knob in Burke County in the Pisgah National Forest this Friday, depending on the weather. The Forest Service's Grandfather Ranger District of the Pisgah National Forest plans to burn approximately 1,250 acres on National Forest land. The boundary of the burn is Forest Service Road (FSR) 106 to the north and the rest of the burn will be bordered by the Black Fork and Yellow Fork Creek. There will be a small section of handline (built with handtools similar to a trail) that will connect FSR 106 to Yellow Fork Creek.The prescribed burn will reduce the amount of hazardous fuels in the forest, improve wildlife habitat, and maintain fire-dependent and fire-adapted species. For additional information, contact Grandfather District Ranger John Crockett at 828-652-2144 ext. 103. Here's a great idea - and a free one at that. Jared Morse has recently launched a web app to help solve issues such as the one Aron Ralston ran into in Utah several years ago. After registering your trip, ShouldBeBack.com sends out an email and a text message to your emergency contacts if you're late in returning at your predetermined time. You create a trip and provide ShouldBeBack.com with emergency contact information. At the time you indicated that you should be considered late they will send you a text message. If you reply "back" to this text, no further messages will be sent out. If you don't reply to this first text, they will send a second text to you with the same prompt. If they still don't hear back from you, a third text is sent, as well as a text and email to your contacts to let them know you're late. This email will contain information about your trip. If you're in trouble or danger, you can reply "help" when responding to one of the texts and ShouldBeBack.com will immediately text and email all of your contacts to let them know. One of the fundamental rules of wilderness adventure is to always let someone know where you're going, and when you expect to be back. This app provides an excellent and easy way of giving yourself a lifeline in the event of becoming lost or injured while out on the trail. Last July the U.S. Postal Service announced that they would be conducting a study to determine the need for some 3700 retail post offices. Potentially, the USPS was prepared to eliminate more than 10% of all their post offices around the country. Most of these closings were likely to occur in rural areas, such as those found along the Appalachian Trail. This decision would have a significant impact on long-distance hikers. Appalachian Trail thru-hikers, and section hikers, use the services of post offices to forward, or pre-deliver, food, gear and other supplies as they proceed along the trail. The U.S. Postal Service, in response to a request made by multiple U.S. Senators, has agreed to delay the closing or consolidation of any Post Office or mail processing facility until May 15, 2012. The Postal Service will continue all necessary steps required for the review of these facilities during the interim period, including public input meetings. The Postal Service hopes this period will help facilitate the enactment of comprehensive postal legislation. Given the Postal Service’s financial situation and the loss of mail volume, the Postal Service must continue to take all steps necessary to reduce costs and increase revenue. This is partial good news for Appalachian Trail thru-hikers. Most northbound hikers will have already made it through the Smokies by the time that deadline rolls around. At least up until that point they'll be able use the postal service for their supply drops. As I mentioned in a posting back in July, I believe the private sector will step-in and continue to offer re-supply services to hikers in the event of any closures. However, things might be a bit confusing for hikers already on the trail this year.